This Tablecraft 2132C 32 oz. 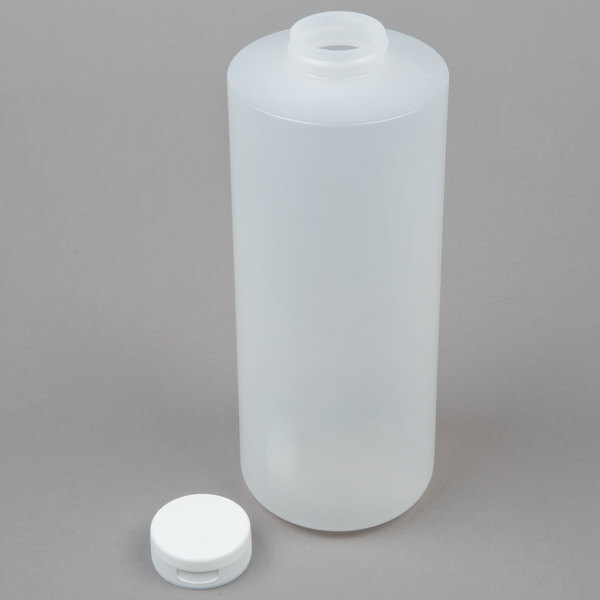 clear squeeze bottle with a 38 mm opening on the top is the perfect container for a variety of liquids such as salad dressings, hot sauces, and other condiments. 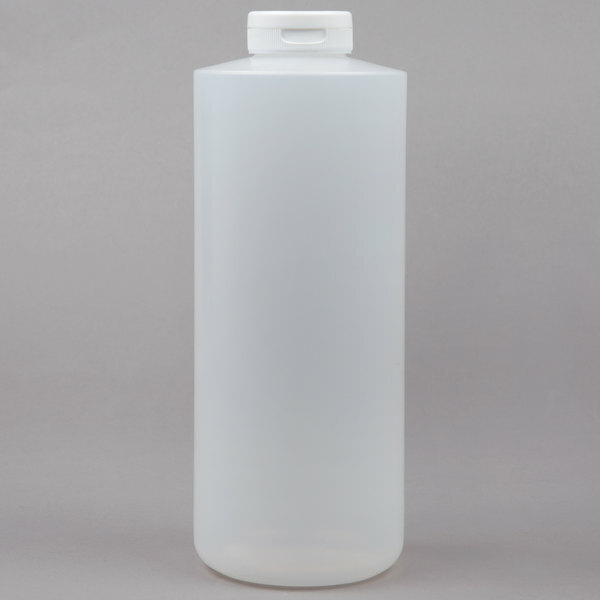 The clear plastic material makes it easy to see how much liquid the bottle contains and it "flexes" perfectly for fast prep during the dinnertime rush. 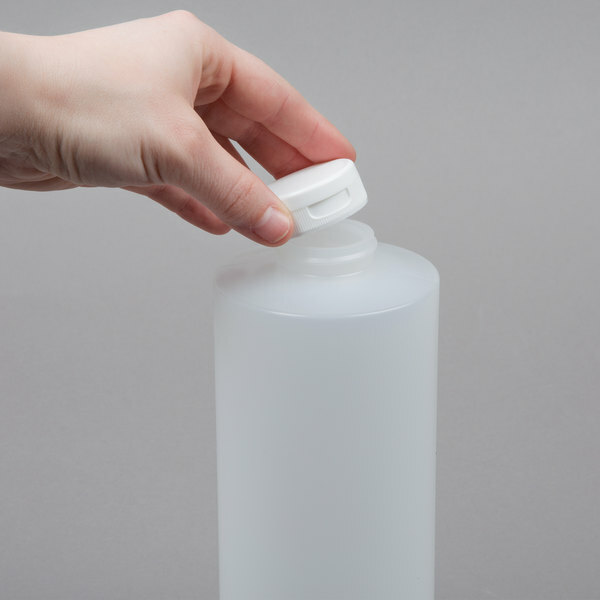 The flip lid stays tightly closed when not in use, preventing leaks and keeping the contents fresh. Good quality and durable. Easy to clean and use. The flip lid comes very handy when storing sauces that we cannot expose to air, and for sauces that we need to store in the fridge overnight. Absolutely love these bottles they are fantastic! We use them to dispense paint they pour out a small amount with out making a mess very little waste. Can't beat these for the price. Bought Boths sizes, and I prefer the 32 ounce bottles while they are a little wider the hold more without adding a ton of weight. They close tightly and do not create a mess when pouring which is a great way to keep waste down. Absolutely worth it! I just got these and wish I had found out about them sooner! 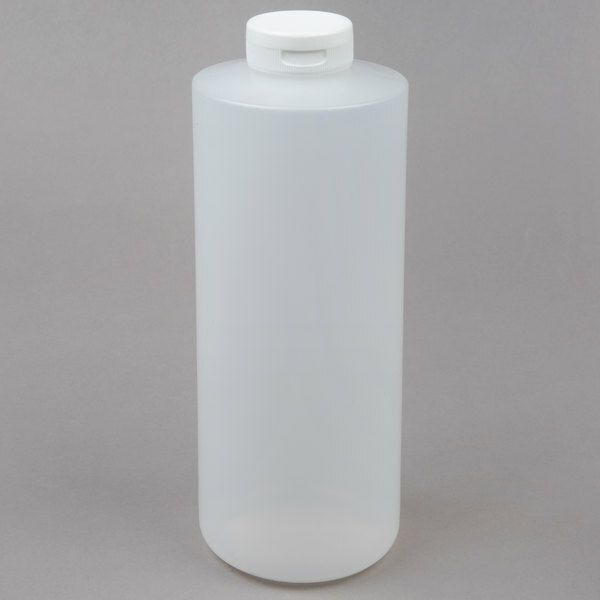 They are just like normal squeeze bottles only the lid flips back when using, and snaps closed when you're done. 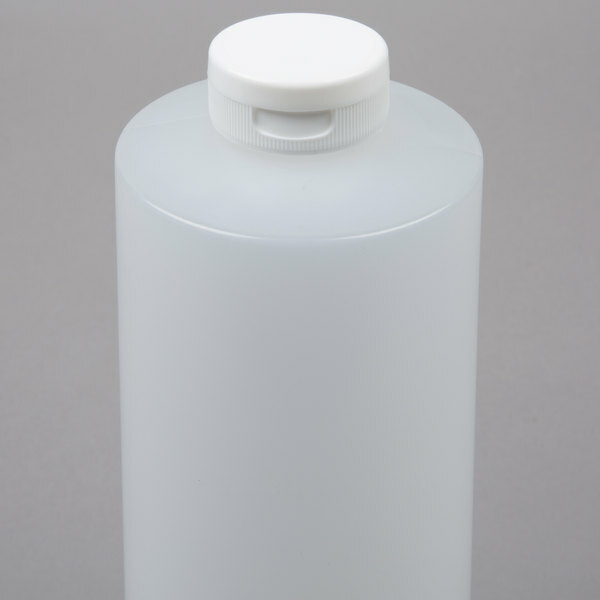 This means no spillage when transporting and no cross contamination when storing. Great size! Hand can fit comfortably around it when you need to use it. So worth it for the price - comes in a two pack! These bottles are sturdy and squeezable and just the right size for me. 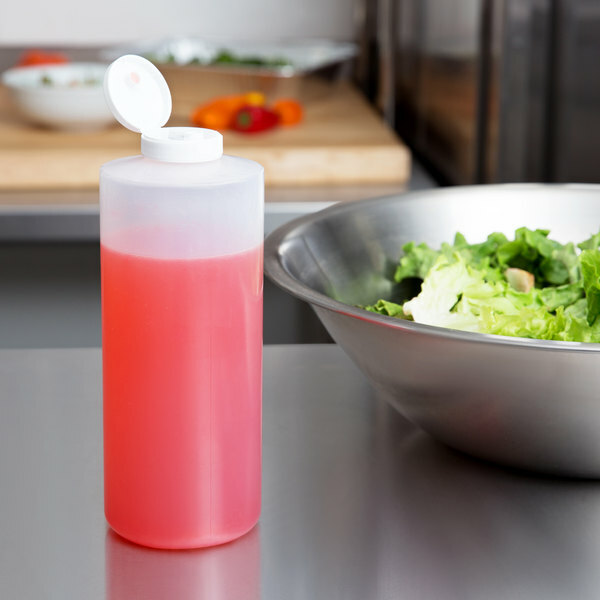 These multi-purpose bottles are great for sauces, oil based dressings and condiments. Safe to keep in the refrigerator and really easy to clean! Very handy! Works well and size its perfect!! I even used a couple of them for Shampoo and Conditioner in my shower at home, for when I purchase the Mega bottles (which are too hard to squeeze) at the Big Box store. These bottles are perfect for transporting liquids that might spill during transport or when you need the ability to seal the flavor in so your fridge doesn't pick up the strong odor of your sauce. These bottles are really nice. 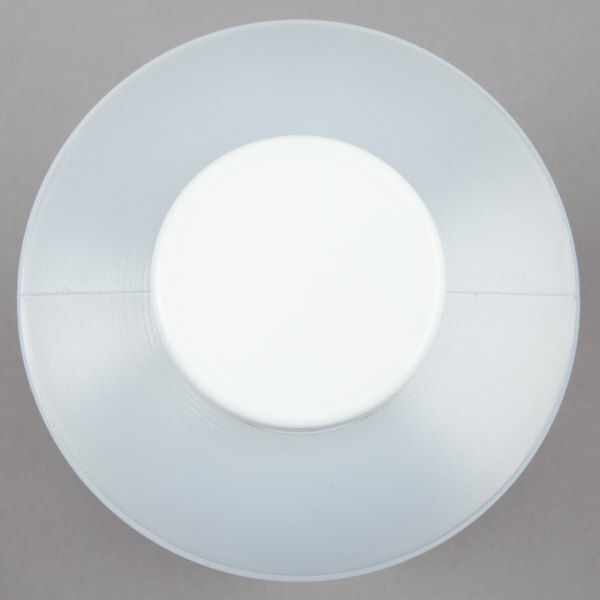 The plastic is thick and the lids are well constructed. The bottles will give good service to someone who is needing a squeeze bottle.